Do you dare enter the Mystic Mansion? You have been brought in to investigate the strange happenings inside the Mystic Mansion. Once inside, you quickly experience it for yourself as the door locks behind you. Will you and your team be able to solve all the mysteries before time runs out? Or will you become another mystery of the Mystic Mansion? This escape room holds up to 8 team members. 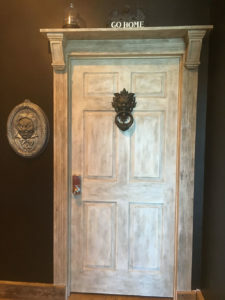 Book now or check out our other escape rooms across the Emerald Coast. See what everyone is saying about Escape Zone 60!